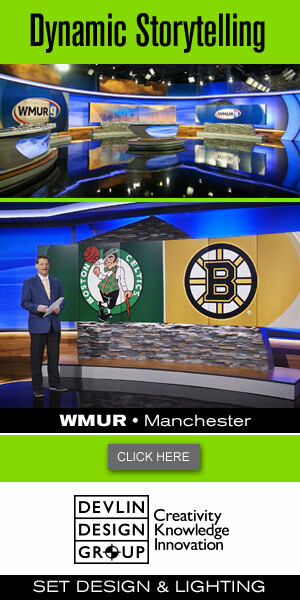 The big three networks’ evening newscasts all featured on the ground coverage of the 50th anniversary of the assassination of Martin Luther King Jr. amidst a busy day of news. 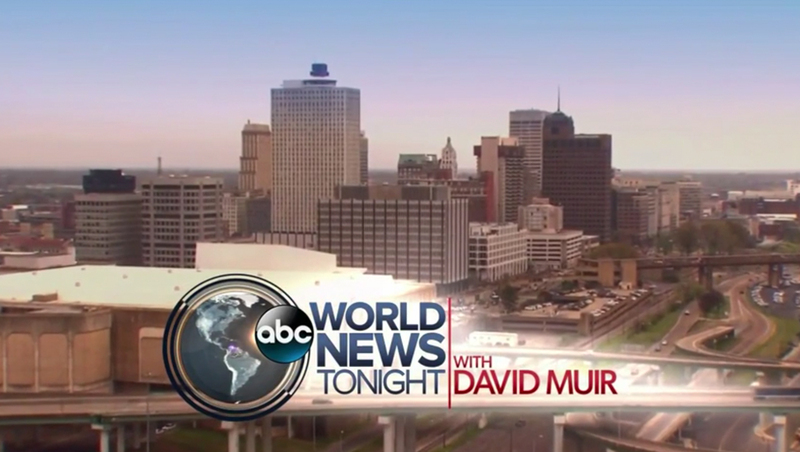 “ABC World News Tonight” and “NBC Nightly News” both originated from Memphis, in front of the motel, now a museum, where King was shot, but did not lead with the story — opting instead to stack the first part of their newscasts with coverage of the Facebook privacy scandal and YouTube shooter. 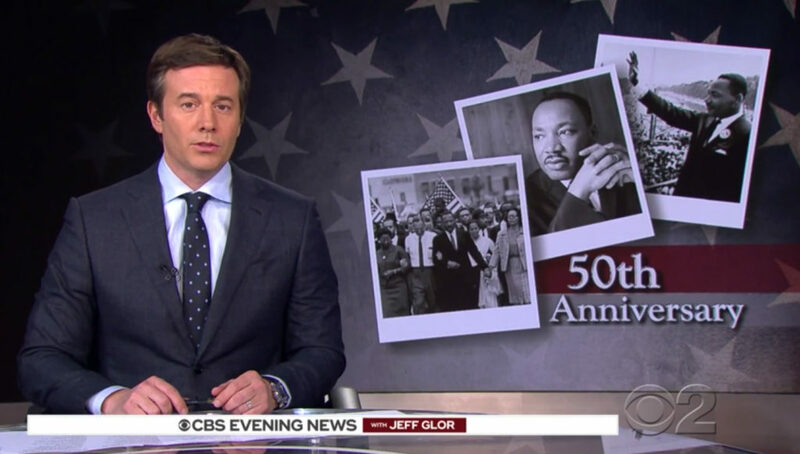 “CBS Evening News” anchor Jeff Glor remained in New York, but did lead off with the story and offered reporting from Memphis. Before segueing to its coverage of MLK, Glor offered a brief overview of the other two big stories of the day — after which the video wall behind him switched from a branded background to imagery of King.